I love connecting with fellow travellers and seeing where they come from, what they are up to, how they sustain their lifestyle, and how they are sharing their experiences with the world! If you know someone who has a story to tell, contact me and they may be featured in a future post! Favourite breakfast food: Peanut butter sandwiches! Where was the first place that you ever had a travel adventure? Probably San Francisco, when I went there back in high school. Where is the last place you travelled? Number of countries you've travelled to? What makes you want to keep travelling? Because it's amazing! I get to meet wonderful people, learn their cultures, explore their cities and countryside, and do what I love for a living. What more could one ask? Would you consider yourself to be a world traveller? I guess so. As I've mentioned, I've already been to 30+ countries, although most of them were in Asia and Europe. I'm planning to explore South America and Africa in somewhat near future, too. You make travel films of unique places. What made you want to share your experiences this way? It's really rewarding to share those beautiful moments with other people. The feedback that I get is what keeps me going, it reminds me that I can do an impact this way. Where is the most unusual place you have filmed? Probably the abandoned hotel in Bali (see video below). Walk me through a day in your life. There is no set schedule, but I try to wake up at least before 9 am, do most of the day's work and then go explore the surroundings. What is one of the craziest things you have done? I would go with the 3150 mete-high Mt. Agung climb [a mountain in Bali]. My shoes and clothes were definitely not up to the task, so the hike turned out to be one of the hardest things I've ever done, physically. How do you fund your travels? Do you work while travelling? Have a day job and then travel during vacation time? Get paid to blog? Great question! My current source of income is the company I co-founded, ChameleonJohn.com, which allows me to work remotely, travel, and make videos. Will you do this forever? No idea. But I'm definitely not anywhere close to stopping. Is there anything else my readers should know about you? If they would like to find more information about me, or my trips, visit my personal website and my Instagram profile where I post the best moments from my trips. Wandering through an acre-sized ice castle is no longer only possible in a Disney movie — think Elsa’s icy escape in Frozen. 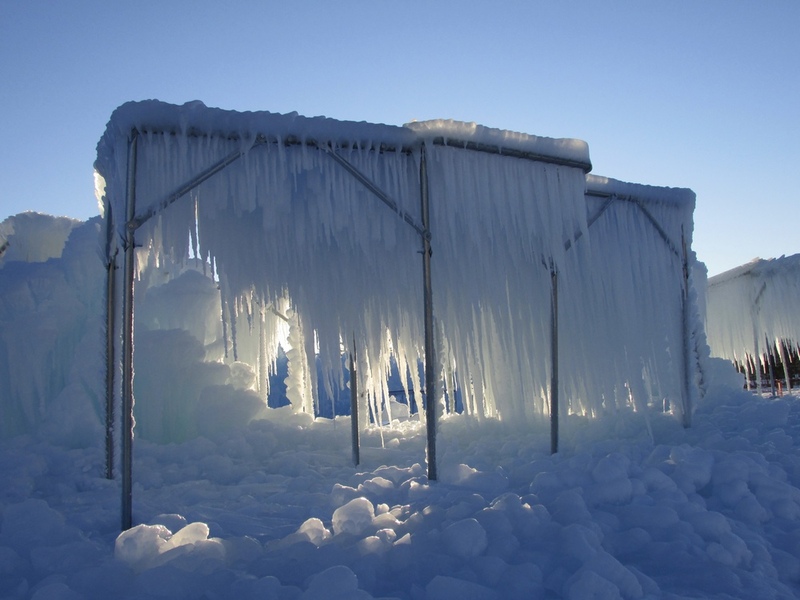 The Utah-based company, Ice Castles, started creating these incredible structures in 2009, and for the first time ever, has brought the incredible frozen wonderland to Canada. I recently had the chance to meet Brent Christensen and Ryan Davies, the architect and CEO of the company, who explained how it came to be and how these incredible structures are created. Brent’s inspiration for the company began in his own backyard, when he and his kids started playing around with running water and ice. It exploded from there, and soon; he was creating giant castles for the public. What makes these castles unique, is that instead of being created from blocks of ice, Brent’s castles look like frozen waterfalls or glaciers. They are built with icicles that are sprayed with water to create huge, incredibly strong towers of ice and caves that are filled with icy stalactites. 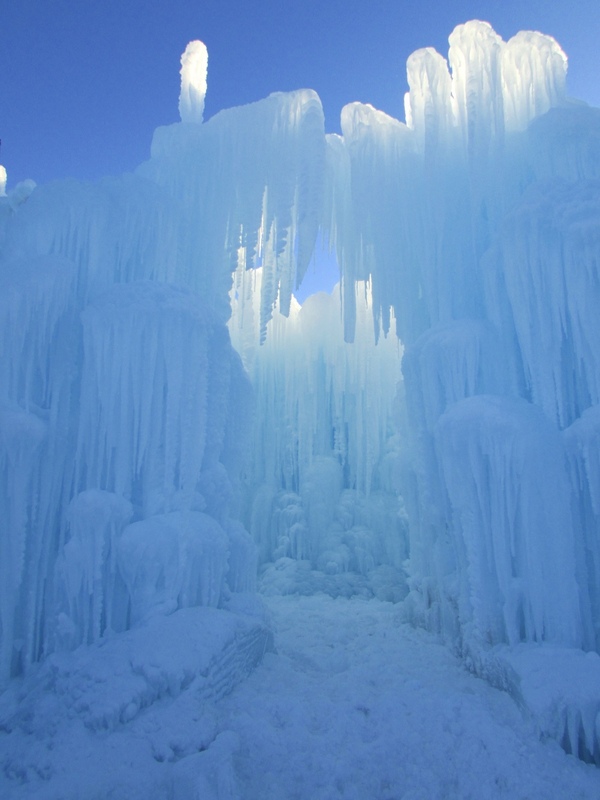 More than 15,000 icicles are used to grow a tower just two feet! I got to explore the castle before it was open to the public and was struck by how much the colour of the ice looks like the blue that I’ve seen in glaciers. Apparently, this is because of how thick the ice becomes. At night, lights that have been buried deep in the ice make the structure glow with all colours of the rainbow. 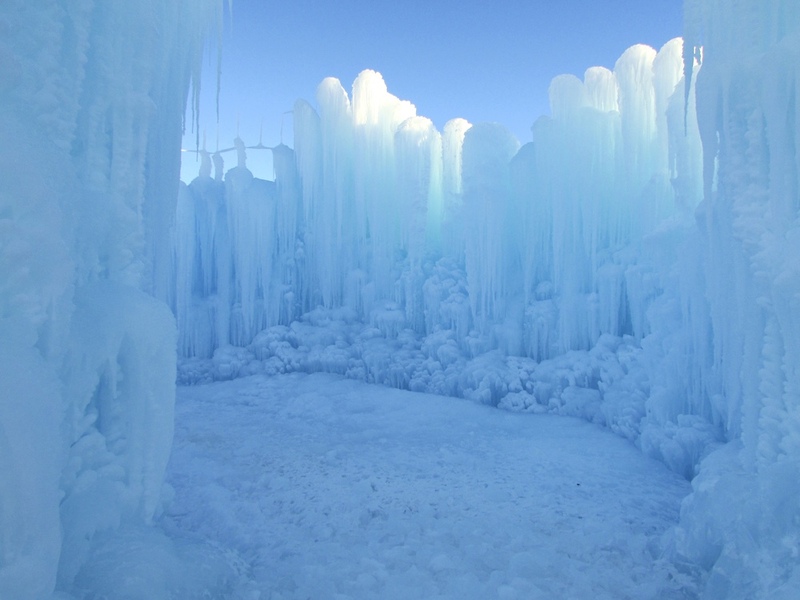 Visit the Ice Castles website for information on where they are located this year. Being an English Teacher in South Korea was one of the most challenging, educational, and incredible experiences that I have ever had. 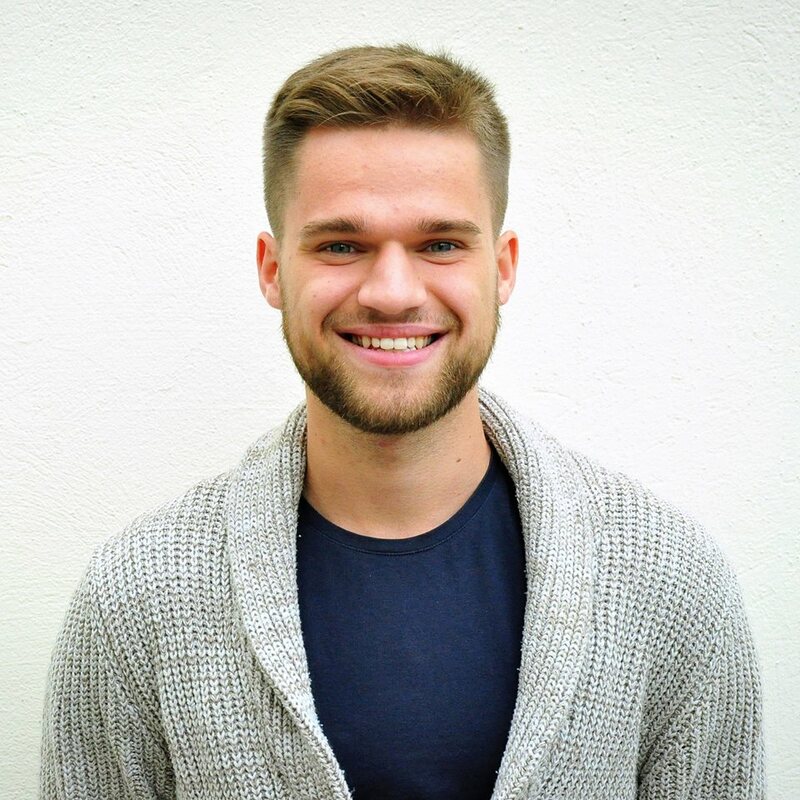 I lived and worked in the country as an English teacher for just over a year, and since I've come home, I have gotten countless questions from family, friends, and friends of friends about the experience and how they can do it too. Here are answers to some of the most frequently asked questions. Feel free to send me a message if there is something that you want to know that I haven't answered here, and I will do my best to help you out! Why do people teach English? Some people teach as a way to make money, some to travel, some to escape, and some just because they love it. Some go to a foreign country to experience being a minority for the first time in their lives and others go to blend in. Some are there to feed an addiction to adventure, while others are stepping out of their comfort zone for the first time. My advice? Teach because you want to — because you really think that you have something worthwhile to share with someone else. Do it to form lasting human connections and to show even one person on the other side of the world that you are not the stereotype of your own side. It’s ok to be afraid and unsure of yourself, just go with it, let yourself learn, evolve and before you know it, you will look around your class one day and it will hit you that you aren’t just a hack for hire — you are a Teacher. The long answer? If you have a degree, any degree, and can pass a criminal record check, then you can be an English teacher in South Korea. Though other countries may require different levels of certification (some require Teachers of English to Speakers of Other Language (TESOL) certification or some other form of specific English as a Second Language training), in South Korea, foreign English speakers are used for applied, conversational teaching and for the most part, can learn any other technical skills once they arrive. If you are planning to get a job at a university, a master’s degree, experience, or a connection with that university will usually be required. The same goes for teaching at a public school rather than a hagwon (private school). Why does South Korea even want foreign English teachers? English language education was introduced to Korea by the Joseon government in 1883 when they opened an English language school in order to train interpreters, and since then has been the most popular foreign language learned in the country. English is currently one of the most widely spoken and written languages in the world — over 380 million people speak it as a native language and a staggering 700 million speak it as a foreign language. It is the language of international business and more than half of the world’s scientific and technological periodicals are in English. It is also the language of navigation, aviation, the main language on the Internet, and five of the largest broadcasting companies in the world (CBS, NBC, ABC, BBC, CBC) transmit in English, reaching millions. Because a working knowledge of English is required in many fields and occupations, educational ministries around the world mandate the teaching of this language to at least a basic level. In other words, we are the experts. We are fluent in the language they are desperate to learn. They look to us to teach them the intricacies of not only our language, but also our mannerisms and our culture. Still rather closed off from the rest of the world, but striving to make a mark on it as a unified, powerful and proud nation, in South Korea they need English. In order to succeed at the level and speed that they deem necessary, learning English is essential. In order to get their children the education that will help them to work in the unbelievably competitive job market, learning English is a requirement. Teaching English has become a fast paced, competitive multi-million dollar business. Schools open, expand, and fold, new teachers are being moved in and out and the more bums in the seats, the fancier suits the principal can wear. Before anything else, it is a business — a profitable one — and we are the commodities that everyone is after. There are currently approximately 25,000 foreign English teachers in South Korea, and the government has introduced plans to bring in more teachers, making it one of the world’s largest employers of Western English as a Second Language (ESL) instructors. Why choose South Korea over all of the other countries that hire foreign English teachers? It has a stable, republic government (in contrast to the communist or unstable governments in many of the countries that hire ESL teachers) and, though next door to North Korea, I can honestly say that there was never a time when I felt unsafe. I never even managed to find any sketchy back alleys — except in Itaewon (an area in Seoul), but they were only sketchy because they were filled with drunk English teachers. What does being an ESL teacher entail? As I mentioned above, you are expected to be an expert in your own language, meaning that you will be able to explain all aspects of grammar, syntax, vocabulary and sentence structure without fail. It is also assumed that you will be able to teach proper pronunciation, reading and writing to your students. You are not expected to know everything there is to know about being a teacher, but you should be able to show that you are a quick learner and that you and your students are progressing. At most schools in South Korea, you will be given textbooks and lesson plans, and will have Korean colleagues who speak English fluently and can give you advice on teaching techniques. When in doubt the Internet is your best friend and was a great help to me in preparing some of my more complex lessons. There are also some great sites online geared specifically to English teachers with great tips and teaching strategies. Don’t expect a cushy job. Teaching in any country is hard work and teaching ESL comes with its own unique challenges, the major one being (of course) the language barrier. South Koreans are extremely hard working and very competitive. Learning is respected and taken very seriously, and foreign teachers are expected to uphold this level of respect and work just as hard, if not harder, than their students. In a hagwon (private school), students will be at different levels aged anywhere from four to eighteen. There are also opportunities, all over the country, for foreign teachers to tutor. University students, businesses and adults are constantly looking for someone to teach them under the table. There is a lot of money to be made, but it is illegal for foreigners to tutor and could result in your contract being torn up and you getting booted out of the country. The terms of your visa and contract state that you are to receive pay from your hagwon ONLY. A lot of foreigners do find ways to tutor (I did) and make a lot of money doing it, but do so at your own risk. 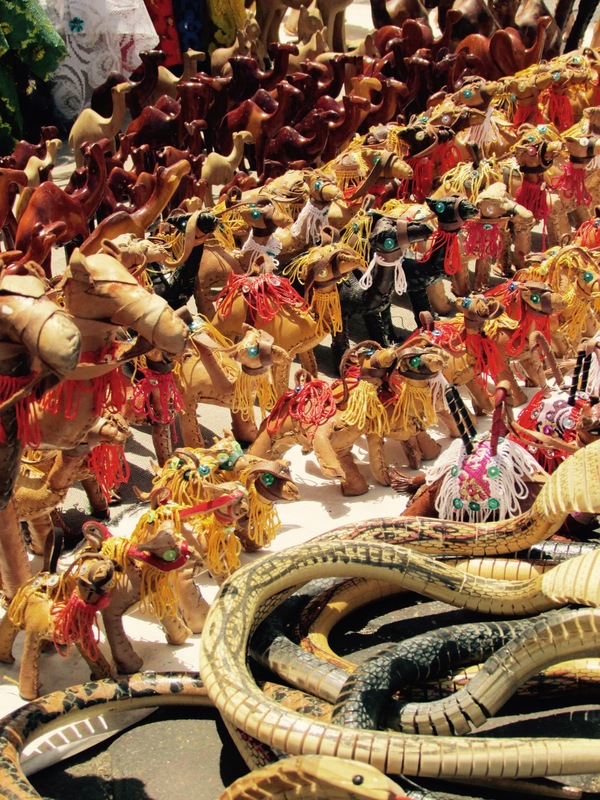 If you get caught, your teaching adventure abroad could come to a quick halt. How much does it cost to get to South Korea and what is the cost of living there? Teaching English is such a great opportunity because there are so few costs involved. Written into your one-year contract will be that your flight to and from South Korea will be paid for by your employer (this is a pretty consistent part of contracts for any ESL position in any country), contingent on you working until the end of your contract. NOTE: Before you sign, ensure that the flight will be paid for from where you live. Some schools try to save money by only paying for the flight from a large hub like San Francisco or New York. Contracts for less than a year, unless you have worked something out with your employer, will usually not cover your flight. Your employer should provide your accommodation either in the form of an actual apartment or in a stipend. Not all schools will have apartments for only one person, so if you are going alone, you may have to share with another foreigner. Make sure you are clear before you sign if that will be a problem. The specs of the apartment including the furniture, appliances and amenities should all be listed in your contract. Make sure that it is stated that you will have a bed. The traditional way to sleep is on a yo mattress, similar to a bedroll, and is not very comfortable. A lot of South Koreans still sleep this way, especially in smaller spaces. Accommodation is usually located in an apartment building, the size being dependent on where your school is, and whether you are staying alone or with a roommate. As with most urban environments, apartments tend to be smaller the closer to the center of Seoul you get. You will be responsible to pay the utilities, telephone, cable, and Internet bills yourself, but the cost is minimal. Food and transportation are readily available and cost a fraction of what you would pay in North America or Europe. How much will I get paid? Are health benefits provided? Most first time teachers will be paid a salary of around $2000-$3000 a month. Your contract will state the amount of classes that you are expected to teach per week and any class over that amount will result in overtime. My contract stated that my salary was for the minimum teaching requirement of 132 classes a month, which equated to only 88 hours. This didn’t factor in preparation time however. Each class on top of the 132 was considered overtime and I received $20 for every extra 40-minute block that I taught. On average, I made between $400 and $1000 in overtime every month. It is pretty standard to have what they call severance and completion bonuses written into your contract. At the completion of your twelve-month contract, you should be given an extra month’s pay and, as long as you are not absent from your job for any significant length of time, you will be given a small bonus. If you are arriving early for orientation or training, ensure that it is clear in your contract what you will be paid during that time. My contract clearly stated that I would make half my regular salary for my week of training, but I have heard from other teachers that they made nothing until their official first teaching day. If you choose to risk tutoring, you could make anywhere from $20-$70 an hour depending on who you are spending time with. I had a friend who got a job at a local business and she would go to the office once a week for an hour and a half. Each man who attended her class gave her $20, so some days she would walk away with over $200. I can't speak to other countries, but in South Korea all employers should supply you with medical benefits under the Korean Medical Insurance Union, which is a Government Health Organization. The cost of the coverage will usually be split in half between you and your employer. I had 1.5% deducted from each paycheck for the plan that covered the majority of the cost of hospital visits, prescriptions and the dentist. The only time you will need additional insurance is if you leave the country. As soon as you are no longer on South Korean soil, your insurance no longer applies. Contracts can be a bit misleading when it comes to vacation days. In mine it was stated that I would be entitled to observe public holidays and receive 10 vacation days during my year. What I didn’t realize was that I wouldn't get to choose when I used those days. They were set national holidays that everyone in the country received. Throughout my year, quite a few of these days fell sporadically in the middle of the week, so they didn’t help with any long weekend getaways. Also, unlike most of the western world, public schools in South Korea do not give their students the summer months off. They give the month of January and the month of August off, but as a teacher in a private school you will usually work more during these vacation periods and not less, as parents will send their children to extra classes called intensives. If there are specific days that you know you will need off during the year, it is possible to negotiate them into your contract ahead of time. Two fellow Canadian teachers knew that they would need to go home for a few weddings, so they negotiated a month off in the middle of their contract ensuring that they could leave without penalty and their jobs would still be waiting for them when they returned. Recruiters, essentially middlemen, are commonly used to obtain English teaching positions. Once you have gotten in contact with one, you let them know the kind of position you are looking for and they will find the school that fits your needs. They will help you contact potential employers and with any negotiations. There are downsides to using recruiters, one being that there is a possibility of making less money because the school has to pay the recruiter for finding you, but for the most part, they know what they are doing and make the process a whole lot easier. If you know someone who has taught before and can recommend a hagwon to you directly, go for it. You do not need a recruiter to get a position or to do negotiations for you if you are comfortable doing it yourself. Once you have decided on a school, be prepared to have a phone interview and to carefully read through your contract. Know that the first draft of your contract is not set in stone and changes can be negotiated before you sign. While it may change from school to school, there will be a few official documents required before your employer will officially hire you and acquire a visa for you. The most important are your degree and proof that you passed a criminal record check. Once you have been hired and your documents have been received and filed, you will have to send your passport to the nearest consulate so that your visa can be put into it. You will need this visa in order to enter the country and remain there for the time that you have committed to in your contract. The process of getting the visa also incurs a cost, and you will have to arrange with your employer who will cover this cost. Is there a specific time of year when companies are hiring? The best part about getting a job teaching English is that you can start your contract pretty much whenever you want. There is no real beginning or end to the school year because most private ESL schools have classes year round. As a new teacher coming in, you will usually start your contract at the beginning of a month, or semester, and work for a year from that start date. As a result, there are always spots opening up at different times of the year. South Korea is a country with a calendar year jam packed with small festivals, celebrations and special days. Teacher’s Day, Children’s Day, Valentines Day, White Day, Love Day, Peppero Day — the list goes on and on (and on and on — seriously, there are an aggressive amount of festivals). I lived in the country teaching English for 13 months, and after awhile it was easy to tell when a major holiday was coming by the ten-kilogram cartons of grapes, packages of pears and massive jars of kimchi that took over sections of grocery stores and entire corner markets. Gift packs of ramen, crackers, Soju, lotions and shampoos filled the aisles in preparation for the coming celebrations. Constantly surrounded by these foreign holidays, my roommate Michelle and I, feeling nostalgic for our own traditions, decided to bring a bit of home to South Korea and take on the challenge of hosting Thanksgiving dinner for our foreign colleagues. A feat even with a fully stocked North American kitchen and grocery store at your disposal, being in South Korea brought a unique set of challenges to this holiday. Cooking a turkey was out of the question because none of us had an oven in our apartment (this is a thing in South Korea — most people don't use ovens), so we had to settle on some precooked chickens from the grocery store as our main dish. It was easy enough to find the vegetables that we would need, and after spending a few painstaking hours combing the foreign markets in Seoul, we managed to track down an ancient looking package of gravy mix and some boxed stove-top stuffing. It wasn’t until we stumbled upon a lone can of pumpkin pie filling — hidden in a dark, cramped corner of the underground Hanam foreign market in Itaewon (a neighbourhood in Seoul) — that the thought of cooking dessert had even crossed our minds. The sheer luck of finding that can led us to believe that it was our destiny to make pumpkin pie (even though, as you will recall, we didn’t have access to an oven), be heroes to our friends, and host the BEST Thanksgiving dinner made in a foreign country EVER. You might ask why we didn’t just buy a pie. The short answer: South Koreans do not eat pie. The long answer: while there were bakeries in the country, when I lived there, they didn’t make conventional items that would be found in bakeries in the western world. They were full of sickly sweet breads, hard flat pastries, fluffy pink cakes and mystery buns with red or black bean paste concealed inside them (I bit into what I thought was a chocolate croissant one morning to find that I was terribly, terribly wrong). I had never seen anything even resembling a donut, a cupcake or a gooey chocolate chip cookie, let alone something as radical as a pumpkin pie in a bakery. This lack of interest in North American-style baked goods — and the lack of ovens in standard apartment kitchens — also meant there was no baking aisle well stocked with flour, spices, sugar and other ingredients that would be found in the standard grocery store at home. This man is pounding rice (called dak) that is used in South Korean pastries, This is nothing like a pumpkin pie — trust me. Acknowledging all that was against us, we did the only logical thing that we could think of — called my mom. Since it was the middle of the night for her, it took me a few minutes to get her to understand that I wasn’t waking her up because of an emergency — I just needed some help making piecrust. After she stopped laughing, she managed to find and read me a recipe which I scribbled down on the back of a receipt I found in my wallet, and handed off to Michelle who plunged down the small aisles of the foreign market desperately hoping that we would be able to find everything on the list. Luck was on our side, because after a thorough search we managed to find everything but condensed milk, which we discovered was easy enough to supplement by throwing regular milk, sugar, butter and water into a pan (thank you Google). As we rode the subway home, trying to balance our ingredients haphazardly on our laps, we realized we had to face the elephant in the room and try to figure out how we were going to bake the pie. After throwing out ridiculous ideas like making an oven out of a box (clearly a fire hazard) or cooking it on a small BBQ (just a bad idea thrown out in desperation), we decided to try and put ourselves in the hands of one of our local bakeries and their industrial sized ovens. Once we got back to our apartment, we set our plan in action by calling Wendy — one of the Korean teachers we worked with who had offered us her services as a translator. We were hoping to have her explain our situation — over the phone in Korean — to the people working at our local bakery and then have her ask them if they would be willing to bake the pie for us in one of their ovens. Like my mom, Wendy laughed for a few minutes and thought we were nuts, but agreed to help us. Early the next morning, after prepping the pie, we carried it carefully to the closest bakery. Luckily the store’s owner happened to be working and once we had Wendy on the phone, we handed it over to him. After a few tense moments, he laughed and nodded at us, handing back the phone and Wendy confirmed what we had already guessed — he had agreed to help us out! Elated, Michelle and I left our pie in his hands and ran home to start preparing the rest of the meal. After a long day of non-stop chopping, mixing and cooking, I left to pick up the pie about an hour before our friends arrived. The minute I walked in the door of the bakery and saw the owner’s nervous face, I knew that something was wrong. He slowly opened the lid of the white square box that had been sitting on the counter in front of him, and pointed inside at a lumpy mess, shaped sort of like a pie. Not even thinking that it needed to be explained, we hadn’t told him not to take the pie out of the pan when it was done baking. He — of course — had, and as a result the pie had completely fallen apart. Seeing how badly he felt and not wanting to make him feel worse, I gave him my biggest smile, bowed and thanked him warmly a few times before I left with my sad lump of pie. We recounted our saga, amidst tears and laughter, while serving our sorry looking pie crumble to our surprised friends. When I finally sat down and took a bite of it myself, I was shocked to find that — despite its appearance — it was (and still is to this day) by far the best pumpkin pie that I had ever tasted. 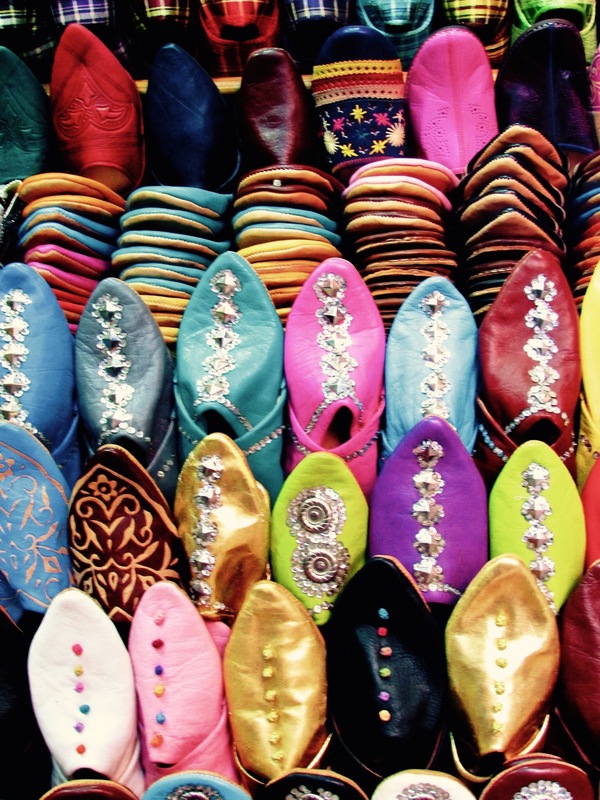 Are you looking for things to do in Marrakesh? You've come to the right place! In between getting lost in the maze of narrow streets bordered by red walls draped in vibrant, hand-dyed carpets, there are some incredible places to see and experience in Marrakesh! Here are five of my favourite spots. 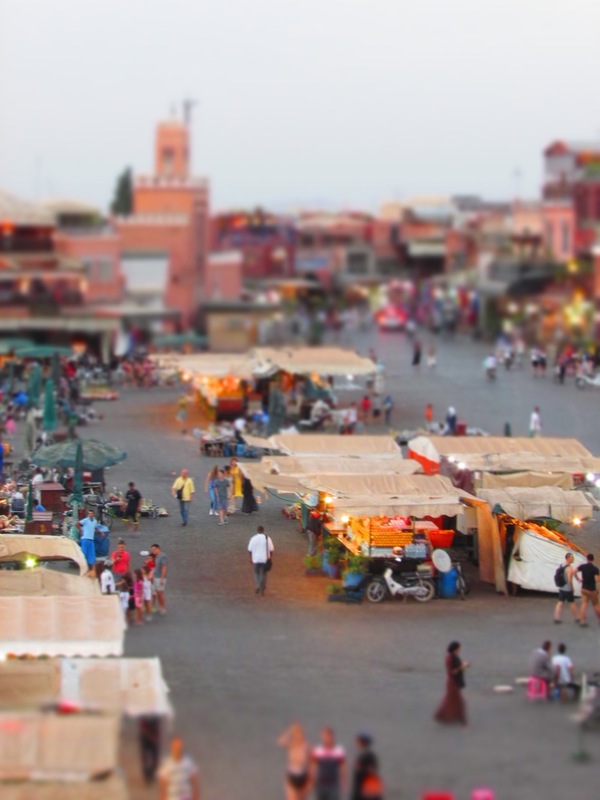 I had heard that Djemaa el-Fna, the gigantic main square in Marrakesh, was an open-air theatre full of action, entertainment and general hoopla, but words can not describe what was waiting for me when I wandered there one night as the sun was setting. The chaos that greets you has been non-stop since the square was the site of public executions in AD 1050 (the name means "assembly of the dead"). It is such an incredible collision of Moroccan culture that UNESCO declared it a "Masterpiece of World Heritage" in 2001. Camera at the ready and all senses on alert, I walked past snake charmers right out of an Indiana Jones flick blasting oboes to calm hissing cobras, fully veiled female henna tattoo artists would suddenly appear beside pulling me towards their stools, and monkeys on leashes that sat obediently next to the feet of their owners. Surrounding restaurants open their rooftops to tourists — the perfect spot to enjoy the show! This gorgeous, historic palace has floor-to-ceiling decoration that was begun in the 1860s by Vizier Si Moussa and then was completed between 1894 and 1900 by Vizier Abu 'Bou' Ahmed. It has been home to rulers, warlords and French colonizers, but now lies empty — other than the tourists that filter through daily, of course. The incredible pointed, gilded, and inlaid ceilings will have you looking up in the Grand and Petit Courts, but don't forget to look down at the incredible mosaic floors, and stunning doorways. There are multiple courtyards and rooms to stroll though, but no furniture remains. 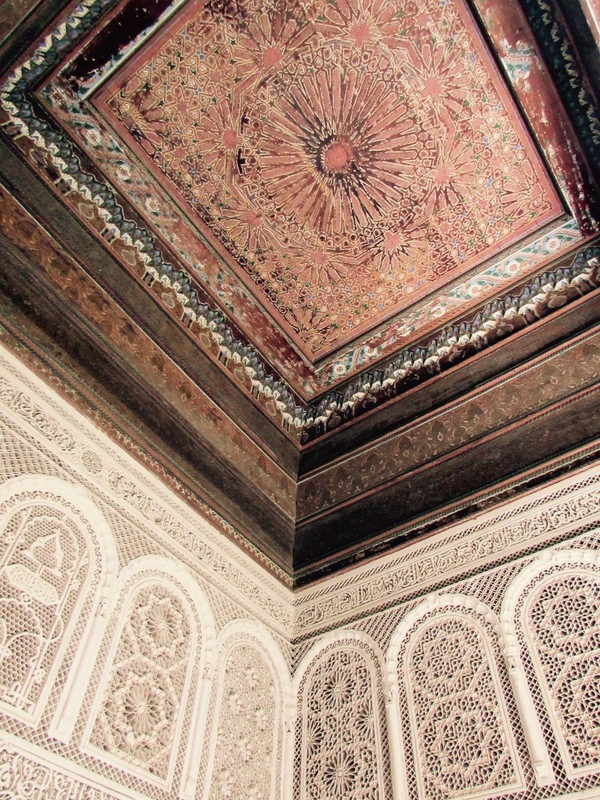 Though you can't visit the entire 8 hectares and 150 rooms, the opulent harem rooms are open to the public.. This is where Vizier Abu 'Bou' Ahmed kept his four wives and 24 concubines. 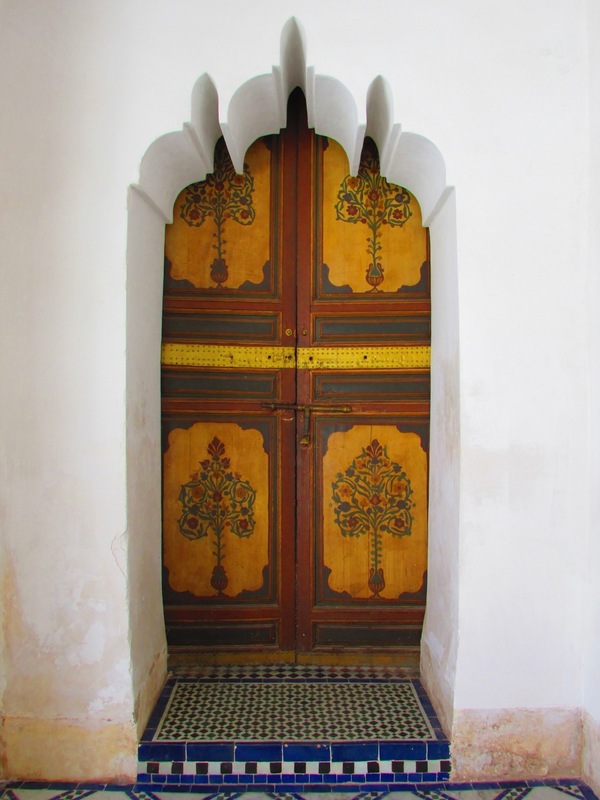 Only a short walk away from the Bahia Palace (there are signs to help you navigate), this incredible structure showcases the city's riad architecture and is the home to a spectacular painted wedding-chamber dome. It houses the Museum of Moroccan Arts, and has an incredible collection of historic artifacts from all over the country. Because it is located off the beaten path, it doesn't get the same amount of traffic that a lot of other sites get, but it is well worth a visit. Make sure not to miss the beautiful central garden! I rarely get lost when I am in a different city. As long as I have a map with me, I can usually find my way out of a wrong turn pretty easily. In the souq (market) in Marrakesh however, I didn't stand a chance. I attempted to navigate the winding, twisting alleyways multiple times and each time ended up completely lost surrounded by carpets, cushions, lanterns, spices, and shoes. The colours, smells, and shiny objects overflowing from the stalls around me were only slightly more distracting than the shop owners calling out to get my attention in any way possible. It was a completely disorienting, adrenaline-pumping, five-sense engaging experience that I have never had in a market anywhere else in the world! I encourage all visitors to Morocco to skip a tourist spa and experience a public hammam (public bathhouse). Entry fees are cheap — $3.00-5.00 — and all you need to bring is a towel! Soap is available to purchase if you want (I highly recommend it as it makes your skin really soft), but you are welcome to bring your own. Most locals strip down entirely, but you can leave your underwear on if that makes you more comfortable. You will then be taken to a big tile room with the other hammam-ers (don't worry, the sexes are separated), be given a pail to fill up with water, and you can then sit or stand and scrub yourself clean, rinsing as needed. Why not just have a shower at home, you ask? For the experience of course! Morocco is essentially a desert, and so public hammams are a way for locals to save water and money. AND, for just a few extra dollars you can pay to have a gommage (scrub) where one of the attendants will scrub you from head to toe — an AMAZING experience!! Mark Adams' Turn Right At Machu Picchu is everything that I love in a book. It is a non-fiction, well-researched travel tale that contains entertaining characters (that are real people! ), vivid descriptions and inspires me to be a better writer and go on more adventures! As you can imagine, I haven't found many books that fit that criterion. — excerpt from page 2 of "Turn Right At Machu Picchu"
Adams takes readers through his research and real-life experience on Machu Picchu and other Inca ruins, their rediscovery (and the controversy around who really "rediscovered" it), and what it really was (temple, summer home, tomb). He also recounts some fascinating stories that he is told by locals, and guides who have been exploring the region for years. It's funny, interesting, and just a really fantastic read. I know you want more book recommendations in your life — subscribe to The Anthrotorian's Newsletter!